Looking for a new or preowned GMC Yukon SUV in the Enid, Stillwater, or Guthrie area? Make the short 30 minute drive to your neighborly Vance Chevy Buick GMC dealer in Perry, Oklahoma. 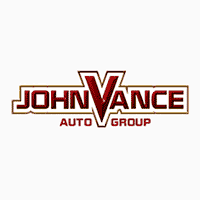 Did you know Vance Auto Group has been faithfully serving Oklahomans for over thirty years? Discover for yourself why we consistently get high customer service ratings. We know how to treat our neighbors. Vance has nine full service dealerships which means we can offer you a huge used vehicle selection. Come see us in Perry to experience a new GMC Yukon. The GMC Yukon makes a dominate statement on the street or highway with it stylish lines and exterior colors. Yet it can also get the job done whether you are transporting your big family, a crew or a large load. Depending on the model, it can seat up to nine passengers in comfort and style. It is designed to keep the road noise out; it’s up to you to keep your kids quiet! It helps to have up to 13 charging stations to keep adults and children plugged in. There are lots of available connectivity features such as a rear seat entertainment system, 4G LTE WiFi, Rear Seat Reminder, Apple Car Play, Android Auto, 8 inch diagonal GMC Infotainment, Navigation system, and the GMC Mobile App. Experience the strength, power and efficiency with Yukon’s advanced EcoTec3 engine and trailering technologies. This amazing Full size SUV offers so much versatility it can do anything you need it for on any given day. The seats fold down in multiple ways to offer you combinations of seating or cargo space. Need to tow something? The Yukon can do that, as well. The Yukon works hard at keeping you safe with available features such as Forward Collision Alert, Low Speed Front Braking, Front and Rear Park assist, Lane Change and Departure Alerts, Blind Spot alert, Rear Cross traffic alert, IntelliBeam headlights, an Adaptive Cruise Control. Come see us at Vance Chevy Buick GMC in Perry where we will treat you like neighbors.